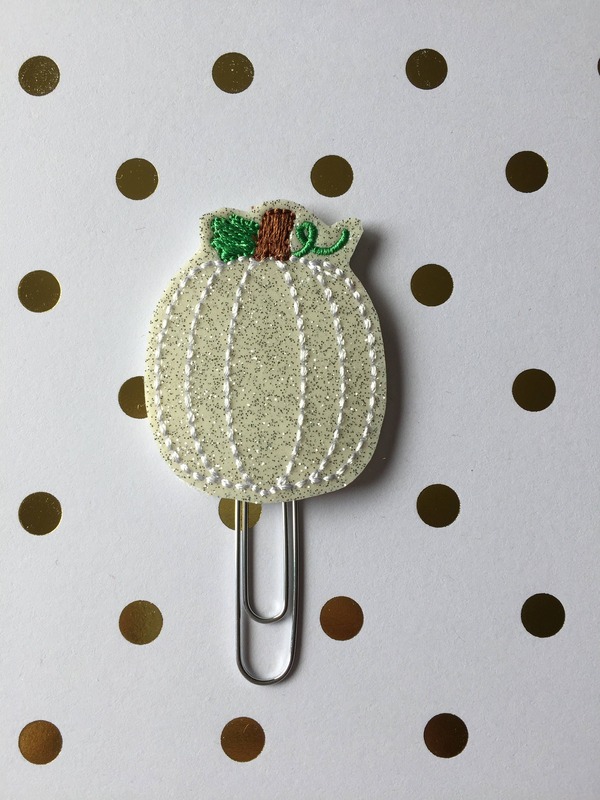 Large paper clip with white glitter pumpkin embellishment. Choose silver or gold paper clip. Love the non traditional color for fall decorations. This pumpkin is gorgeous!